AKIPRESS.COM - The International Center for Integrated Mountain Development (ICIMOD) have released the findings of the new study ‘The Hindu Kush Himalaya Assessment’, suggesting that the region’s glaciers could shrink by half because of climate change, the University of Central Asia said. The Hindu Kush Himalaya (HKH) region is known as the world’s “Third Pole” for its vast store of ice, and home to Mount Everest, K2 and other soaring peaks. The ICIMOD’s study finds that even the most ambitious Paris Agreement goal of limiting global warming to 1.5 degrees by the end of the century would lead to a 2.1 spike in temperatures and the melting of one-third of the region’s glaciers, a critical water source to some 250 million mountain dwellers and the 1.65 billion others living in the river valleys below. If global climate efforts fail, the study warns that current emissions would lead to five degrees in warming and a loss of two-thirds of the region’s glaciers by 2100. 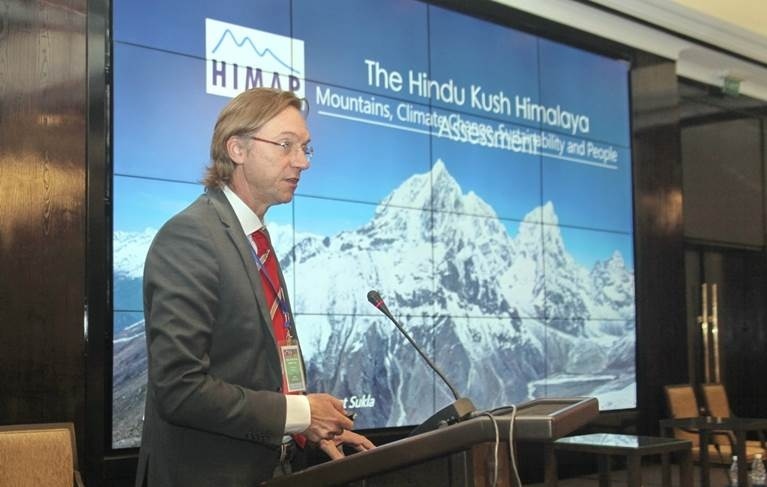 “The Hindu Kush Himalaya Assessment report, whose key messages have been presented at the World Mountain Forum 2018 in Bishkek has finally been published,” said Chris Hergarten, Senior Research Scientist of the University of Central Asia’s Mountain Societies Research Institute (MSRIUCA). “The WMF2018 was organized by MSRIUCA and hosted by the Kyrgyz Republic in October 2018. MSRI/UCA has been contributing to the assessment report in the role of a reviewer for one of the key chapters. This is the first encompassing assessment of sustainable development in mountain regions of its kind, and it will hopefully trigger more of such efforts – also in Central Asia, where similar work is still at its infancy. In view of the first “Global Stocktake 2023” to which all parties have agreed under the Paris Agreement, such assessments are key also in order to achieve the ‘Sustainable Development Goals’ defined in the 2030 Agenda”.